To balance the needs of the animals and the industry that rely on brine shrimp cysts, a University of Notre Dame researcher and the Utah Division of Wildlife Resources (UDWR) completed a study over 20 years to evaluate and improve management of Utah's Great Salt Lake. A new tool may allow researchers to see more of the physiological state of living organisms at the cellular level, according to a study by the University of Notre Dame. Published in Development, the study shows how an open-source application, created by Notre Dame researchers, can utilize two different conventional microscope images obtained at low excitation powers to create one high-resolution, three-dimensional image. 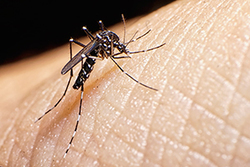 Alex Perkins, Eck Family Assistant Professor of Biological Sciences, and Sean Moore, research assistant professor of biological sciences, have been accepted to join the Vaccine Impact Modeling Consortium. The consortium “aims to deliver a more sustainable, efficient, and transparent approach to generating disease burden and vaccine impact estimates. 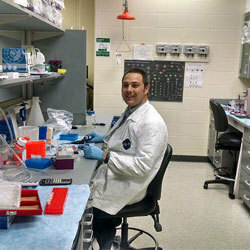 The Indiana State Department of Health and the Indiana Clinical and Translational Sciences Institute (CTSI) has awarded Cody J. Smith, the Elizabeth and Michael Gallagher Assistant Professor of Biological Sciences and affiliated member of the Center for Stem Cells and Regenerative Medicine, a Spinal Cord and Brain Injury Research Fund (SCBIRF) grant.